The sleek silhouette and subtle design accents of this sofa give it a contemporary feel that will look great in any modern home. 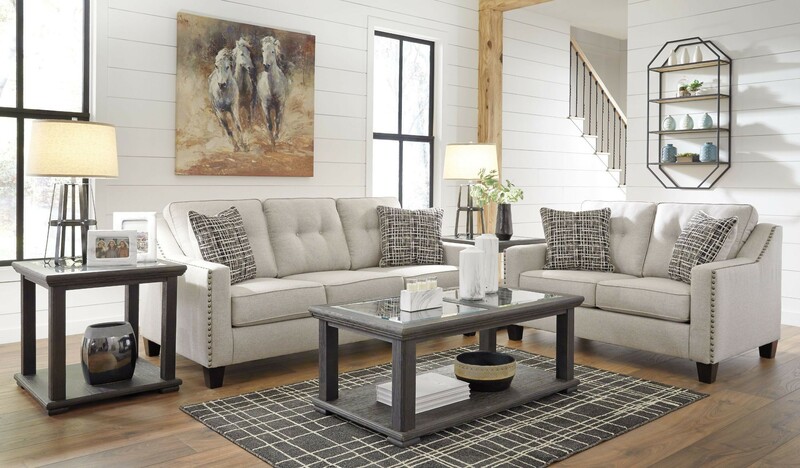 Clean track arms and button tufted back cushions lend themselves to the simple elegance of this piece, while the nailhead trim detailing along the outside adds a little more flair to its appearance. With the addition of this sofa to your living room, you’ll be lounging in both comfort and style.